New for December 2015: This page was split from our microwave tube page and we added some content and photos thanks to Terry Cisco. 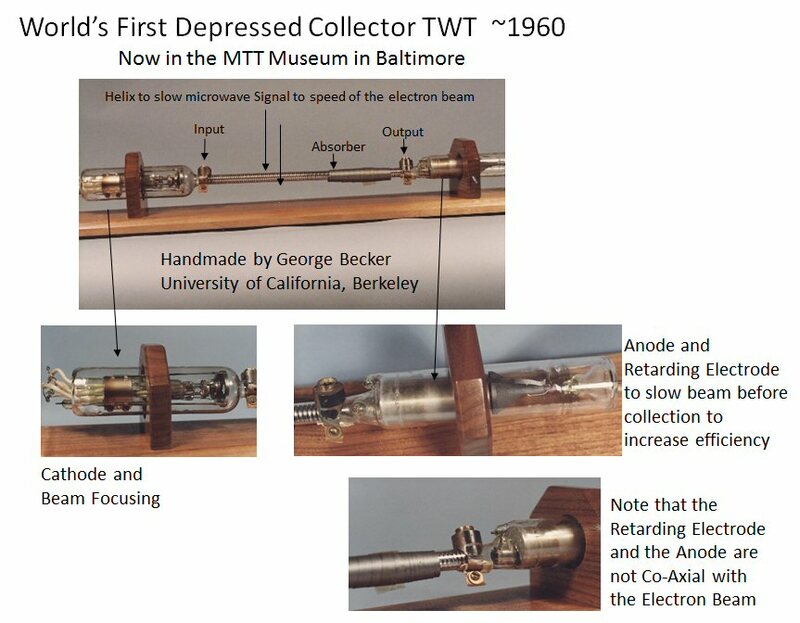 The TWT was invented by Rudolf Kompfner in 1942 in England, for this reason he appears in our Microwave Hall of Fame. 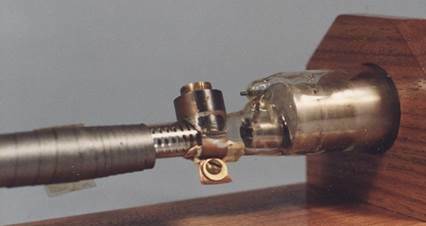 The classic tube uses a helix, but coupled cavities are also used. 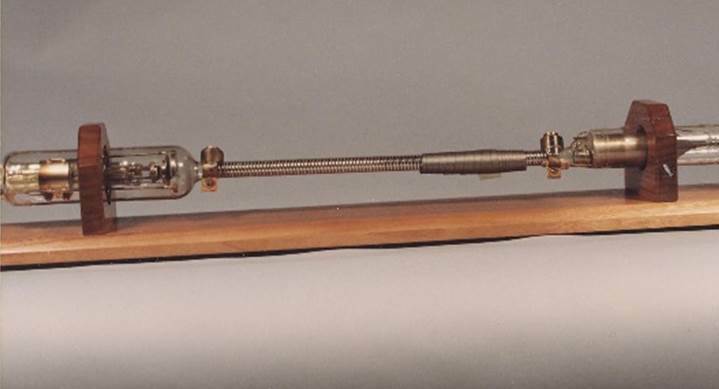 RF energy travels down the helix, at nearly the same speed in the electrons that are traveling from the cathode to the collector. The electron beam's speed is set by the potential between the cathode and anode. Interaction between the electron beam and the RF signal causes the electron beam to bunch, which in turn amplifies the signal traveling down the helix. TWTs can offer multi-octave bandwidth and can be made small enough to fit into towed decoys that are an important part of a modern fighter aircraft's electronic warfare system. TWT diagram from "Electrical Communication" (1964) by A. L. Albert. 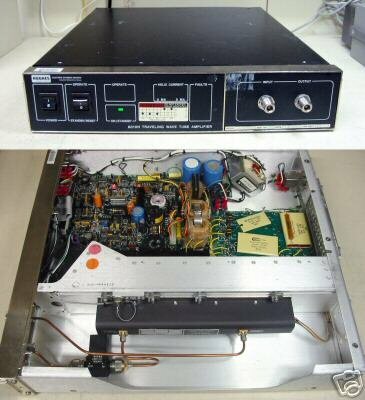 The TWT is often used in lab test equipment to generate signals up to 100 watts. In a broadband TWT, more than one percent of the power is noise that you may need to filter out. A high-power filter will be required in a good power test stand. Thanks to Terry Cisco we have some nice photos of a historic TWT. 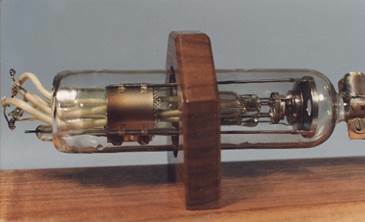 If you look closely you can see the helix structure inside the tube. You can see this tube and much, much more at the National Electronics Museum in Linthicum, Maryland, close to the BWI airport. We pulled out the individual photos below to show better resolution.